Alison Fraser (alisonfraser.com) is living a double life: she’s currently starring as Madame Morrible in the Emerald City National Tour of Wicked (wickedthemusical.com) Meanwhile, she’s been putting the finishing touches on her new recording, Tennessee Williams: Words and Music, which will be released by Ghostlight Records/Sh-K-Boom early this spring. You can find her on Twitter at @alisonfraser. Rob Hartmann: So I’m loving the pictures that you’ve been tweeting from every stop on the Wicked tour, as you explore each city. Here in Pittsburgh, I’m living in the Omni William Penn Hotel, which is of course one of the great old hotels. It was built by Henry Clay Frick – and I look out on what I just assumed was a magnificent cathedral. And then we find out, no, it’s the Union Trust Building, also built by Frick. A church to money, basically. 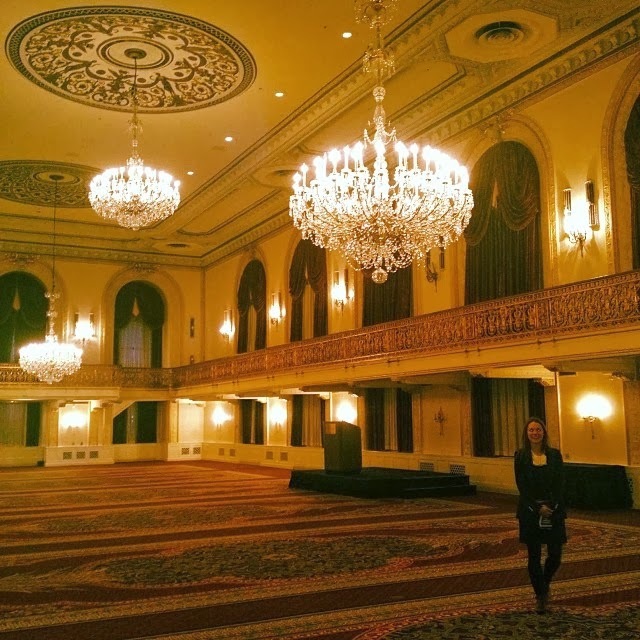 (laughs) On the 17th floor of our hotel, seeing the ballroom is like walking into the past. It’s just a magnificent gilded dreamworld. To be able go on tour and experience these things, and to live in the same building with them, is kind of astonishing. RH: And how is the tour going? In Wicked, I have the great good fortune to have been cast as Madame Morrible, which adds yet another fantastic villainess to my pantheon. I love the character. I have a great advantage, because Wicked is one of my favorite musicals. The first time I saw it, I said, “That’s what a musical should be.” Stephen Schwartz’s score is spectacular, Winnie Holtzman’s book is very, very smart and witty. I’m going into the piece because I love it. And it’s a well-oiled machine. If you’re in Wicked, you know that every night you go out, there’s going to be a full house. It’s a luxury for somebody like me, who has been involved with so many little scrappy shows that had to fight for an audience. With Wicked, we have people coming twenty times. There’s this one fan who waits outside the stage door, and he says, “Yeah, it was my seventeenth time tonight” “Yeah, it was my eighteenth time tonight.” Some might call that a little odd, but I think it’s fantastic, especially when you’re that young, to find a real passion. I mean, that’s what happened to me in high school, I had that same palpable passion for theater. RH: I’m always intrigued by shows that really unlock something – shows that inspire that kind of devotion. AF: Who in their lives has not felt like an ugly duckling? What kid doesn’t feel some days like that ugly duckling, like that green girl? To be given this hope that there is a future, there is room for individuality, there is room for the “you-ness” of you. And if you can embrace that “you-ness”, and present it to the world, you’ve given the world a gift. I think that is the great message of hope that this show gives: that there is room in this world for the uniqueness of you. RH: Morrible seems like she must be such a fun character to play. AF: I love Morrible, and you know, I’ve played so many of these villains. I’ve played, you know, Arsinoe in School for Lies, and Sister Walburga in The Divine Sister, Lizzie Borden in Lizzie Borden, Uta in The Green Heart, and of course Veronica Bailey in the wonderful web series It Could Be Worse. (www.itcouldbeworse.tv) [Ms. Fraser recently won “Grooviest Supporting Actress in a Comedy” for her work in the series.] I enjoy villains, because I approach them as the heroines of their own story. I think that Morrible absolutely believes that she is the woman most capable of ruling Oz. I like to think of her as Cheney to the Wizard’s Bush. I think I’m a different kind of Morrible than has happened before. 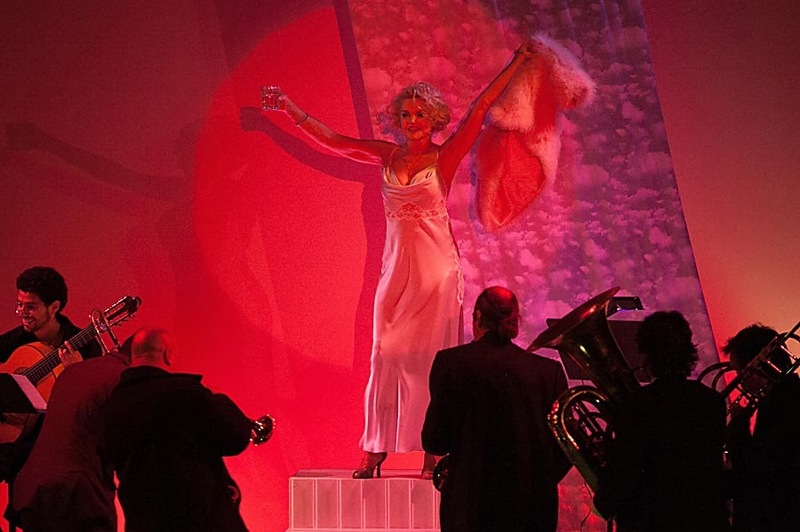 This is obviously a very vain woman – Susan Hilferty’s costumes are absolutely drop-dead gorgeous. I cannot put those clothes on without feeling, “Oh my god, I’m fantastic!” It’s like, I can rule the world. You know, I’ve been put into this beautiful, beautifully oiled machine. We’ve been superbly prepared for this. I had two weeks of rehearsal with a stage manager who knows that show like the back of his hand. We were folded into it gradually. Like, “Today you’re going to do the magic trick with the wheelchair. Tomorrow, you’re going to be onstage with the other people. The next day, we’re going to have a rehearsal with the actual Elphaba,” the magnificently talented Alison Luff. By the time you’re actually onstage, you’re superbly prepared. And if an actor is superbly prepared, I think that is the springboard for inspiration and hopefully a great performance. We had the great fortune of having the director Joe Mantello and his wonderful associate director, Lisa Leguillou come in, along with the marvelous resident director, Stephen Sposito. I have to say, it was one of the most thrilling notes sessions I have ever been in, in my life. For a ten year old show – and this tour is nine years old –these people care so much. It’s their art. Joe’s saying, you know, shake it up a little bit. Make it living. Make it you. Joe, Lisa and Stephen are very much about making this show live artistically. You get to really fly. RH: Every time that I’ve seen a different cast, you absolutely get the feeling that everyone has been given permission to put their own spin on it, to bring themselves to it. AF: My great friend Jenn Gambatese, who was in School for Lies with me, was playing Glinda in this tour. I love her and I came to see the show, and her take on it was just delightful and hilarious. But then I went into the show with the Glinda from England, Gina Beck, who is just absolutely glorious but completely different from Jenn. I mean, you can’t imagine two more different Glindas, yet each is completely viable and fabulous. So, I think that is a great tribute to the writers of this musical, that you have these magnificent characters that do allow for personalization. It’s also one of the nicest groups of people I’ve ever, ever been involved with. Everybody’s just a sweetheart. It’s almost like that’s part of the job – you gotta be nice to get into the Wicked company. And for many people in the audience, it’s the theater event of the year. Last night, I met a boy whose grandmother brought him to the theater for the first time. And I could see that he was hooked already. And I said, so, do you want to go into theater? And he said, yeah, but I don’t want to be onstage. I want to produce. You could see the show sparked something in him. And to have a show inspire a new generation of theatergoers and theater makers is great. It’s all due to the producer, David Stone, of course Stephen Schwartz and Winnie Holzman, and Joe Mantello. RH: So while you’ve been touring, you’ve also been preparing to release your new recording. AF: Yes, it’s called Tennessee Williams: Words and Music. I’m thrilled that it’s going to be on Ghostlight Records/Sh K Boom (www.sh-k-boom.com). We are pretty confident that once people hear this CD, they’ll realize, oh, this is a show that could be done in any theater in the country. RH: How did the recording get put together? Then, I talked to Allison Leyton-Brown, (www.allisonleytonbrown.com) the great music director who shares the stage with me in the show, and said, “What can we do?” And she said, “Why don’t we do it together? And then we’ll pitch it to a record company.” And I thought, okay, I can do that, because I did that with my other albums, New York Romance and Men In My Life and it worked just great. We were going to record in New York or New Jersey, and it was so expensive. I said to Allison, “We’re going to be in New Orleans. We’re going to have unbelievably great musicians down there – not that New York musicians aren’t great, but New Orleans has a particular flavor, and a lot of our stuff is Dixieland and jazz. And I bet it’s cheaper down there to record.” Well, we got such an unbelievable deal down there, in a great studio called The Music Shed. We had the best musicians – unbelievable musicians. When you get off the plane in New Orleans, there’s a jazz mural there: on one side is Louis Armstrong, and on the other side is James Singleton – and he’s my bass player. So that is the kind of musician we have on the CD. Every musician we got down there is like a legend in New Orleans. And we also have the great J. Walter Hawkes, the trombone and ukulele player. Singing all the different kinds of music was just a joy. David had heard my first CD, New York Romance, which has a lot of very very different types of songs on it. And he said, you’re the one that I need to be able to sing the blues, to be able to sing country western. I didn’t even know I could sing a Bessie Smith song. And… I can. Now I know (laughs.) You can rise above your own expectations when the material is good. It took a long time to master the recording to our specifications, to make sure the story was getting across. I would send it to people like [famed record producer] Thomas Z. Shepard and say, what do you think? I got a lot of great opinions. And then I realized: I’m the producer. Allison and I are the producers of this. Yesterday, I had a hundred emails going back and forth about the included 8-page booklet, the rights, the publishing, the fonts, the wording, the special thanks. And I realized, this is a full-time job. So in the daytime, I am a producer. So during the day, I’m totally in control, working on Tennessee Williams: Words and Music. And then, at night, what a joy to be absolved of those responsibilities, and just put on my magnificent clothes and live in the world of Oz, and fly.